Security is key, may it be a residential complex or a commercial setup. The security of an area is guarded either with the help of fences or gates. While you are planning the security system of your property, the primary focus must be the gate as it is the entry and exit point. 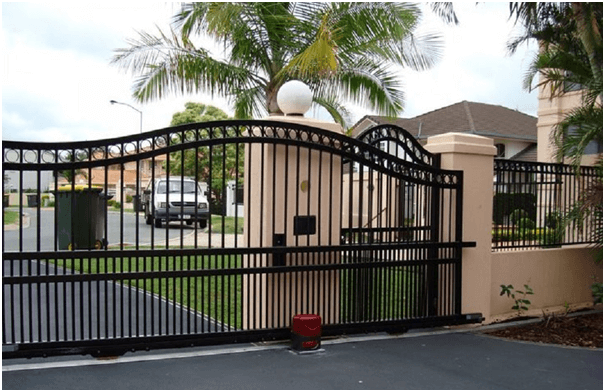 Although, today more and more people are aware on the type of gates available in the market, they want to invest in gates that will add to the overall look of the property. The aesthetic appeal is an important factor that most property owners keep in mind. From manual gates to automated gates, the list is endless. However, most property owners are keen to install the automated sliding gates. #1.Convenient: The foremost advantage of the automated sliding gates is that you do not have to get out of the cars to open or close the gate. They are especially convenient for the elderly. Also, during monsoons, you can avoid getting drenched in the rains. Moreover, you need not worry on closing the gates after entering. #2.Provide maximum security: As the locks, the integrated safety beams are in place, you do not have to worry about security. The best of modern techniques is employed in making automated sliding gates. Also, since you do not have to step out of your car, a burglary is out of question. #3.Takes up less space: The automated sliding gates do not swing, thus saving a lot of space. If you have space constraint either in a residential complex or a commercial building, you can safely opt for the automatic sliding gates. You can also utilize the extra space for gardening and parking. #4.Durability: Automated sliding gates are manufactured with the help of exceptional raw materials; employing the best of techniques thus they are long lasting. They are equipped to handle even harsh weather conditions. Thus, automated sliding gates area are a safe investment and do not require frequent repairing. #5. Functional: The automated sliding gates are more functional than the manual swing gates. They not only can be installed in a restricted space, but also are better for very wide openings in properties, especially in industrial or commercial ones, and for driveways that have an upward slope. If you have a steep driveway then a sliding gate is a perfect solution because it will not need to move against the steep gradient. #6. Aesthetic appeal: The automated sliding gates can be customized as per your fancy. You can decide the sliding gates size, material and also decide the drive system and the safety devices. The automated sliding gates can create a long-lasting impression on the minds of people who enter through the gate. The sliding gates can act as a symbol of repute and class, besides adding to the overall look of the exteriors of the property. #7.Less prone to damage: Since the automated sliding gates are positioned on wheels, you will not have to worry if the sliding gate may be damaged either by colliding with the ground or with the objects that are one the ground. Thus, saving you from the hassle of repair or reinstallation. Thus, automated sliding gates are becoming more and more popular not only among commercial property owners but also among home owners. The installation cost of an automated sliding gate might be a little higher than the swing gates, however, they deliver for a long period of time.